I have done presentations as weird characters, with puppets or just entertaining. 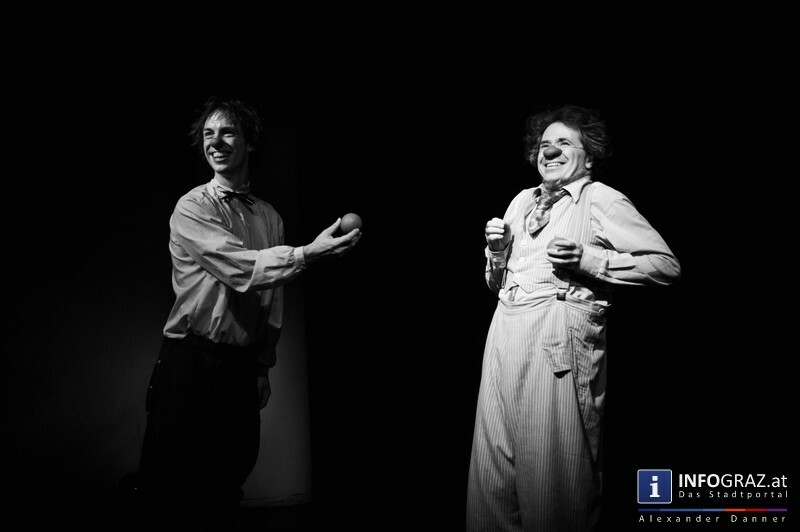 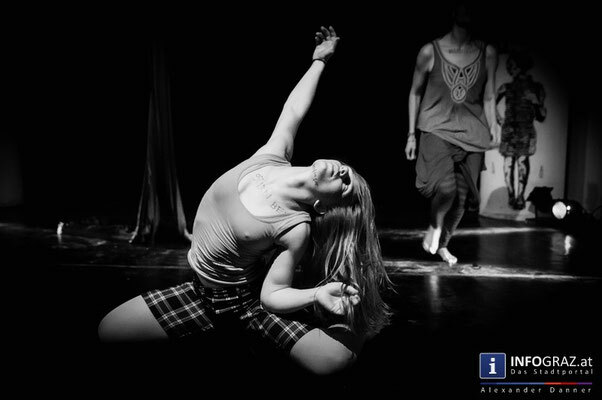 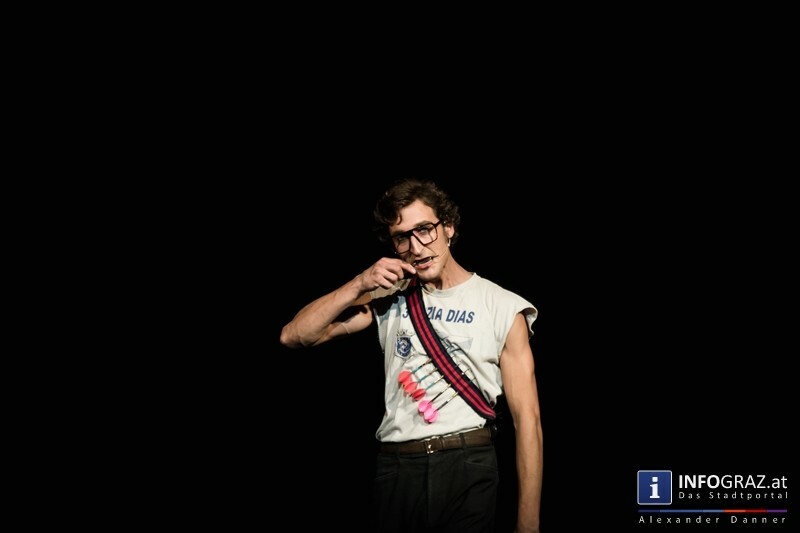 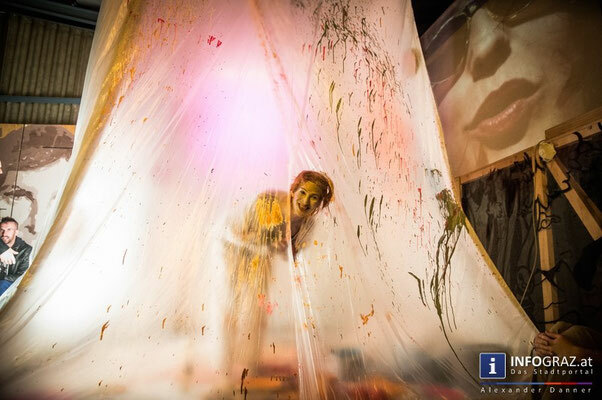 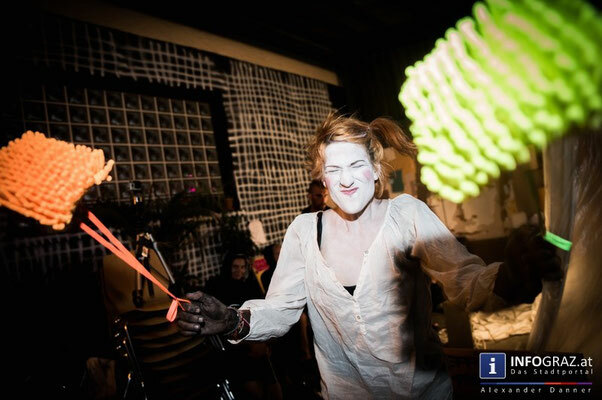 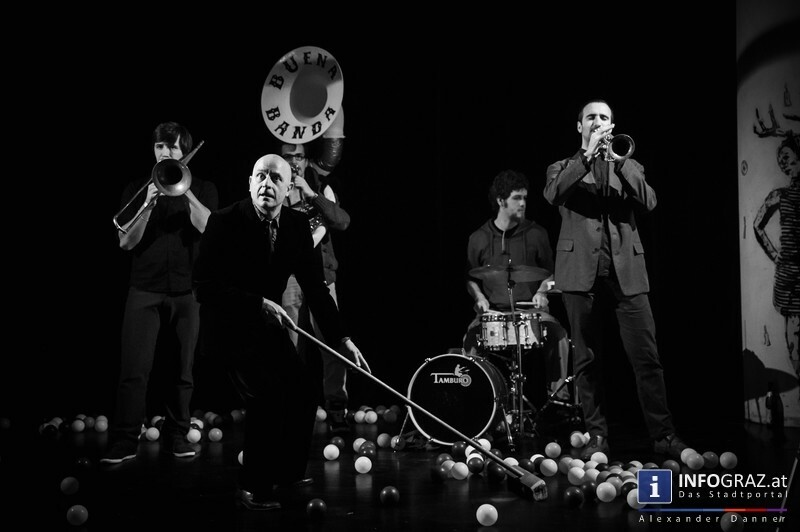 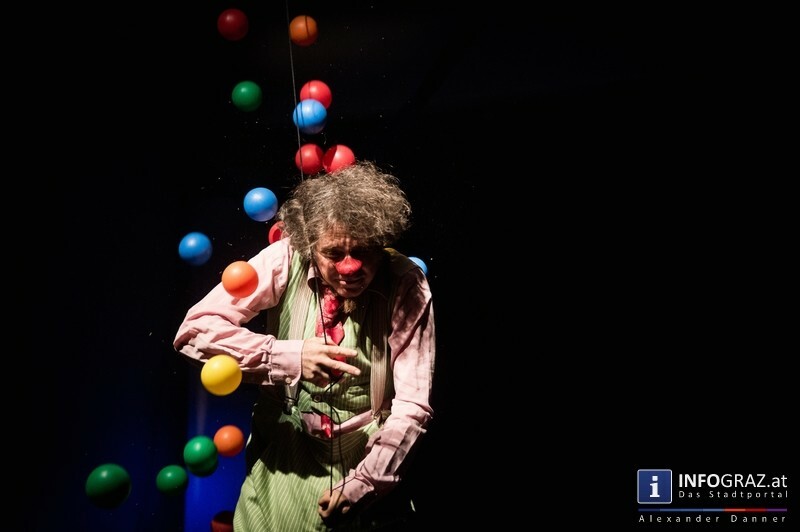 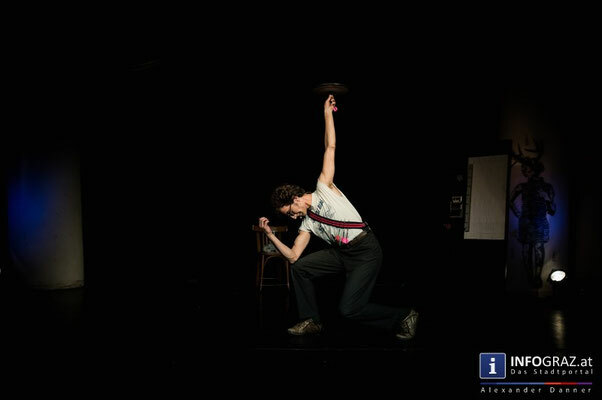 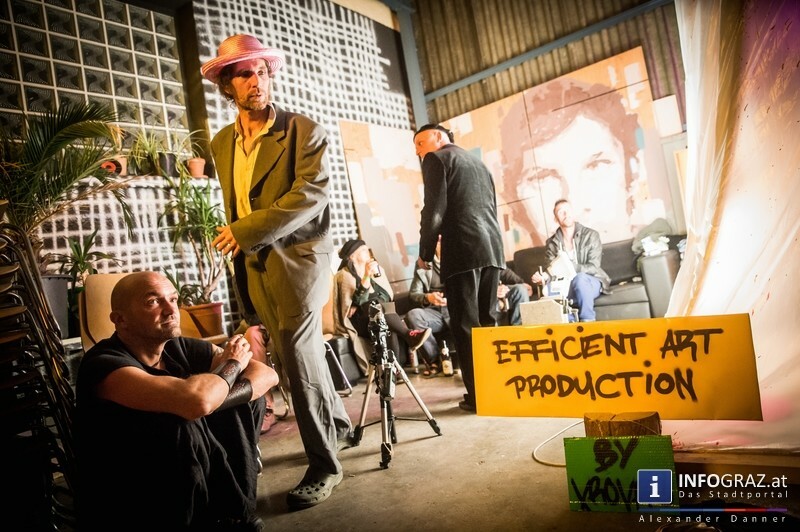 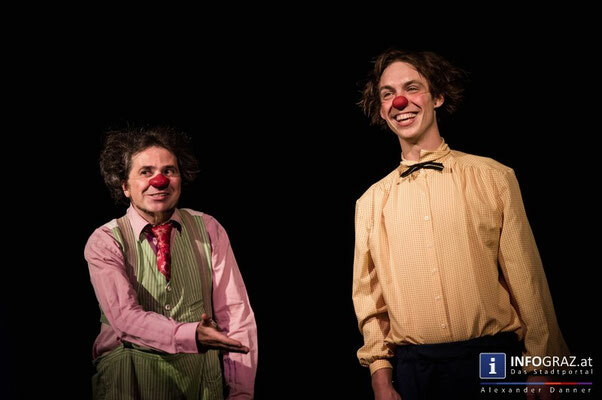 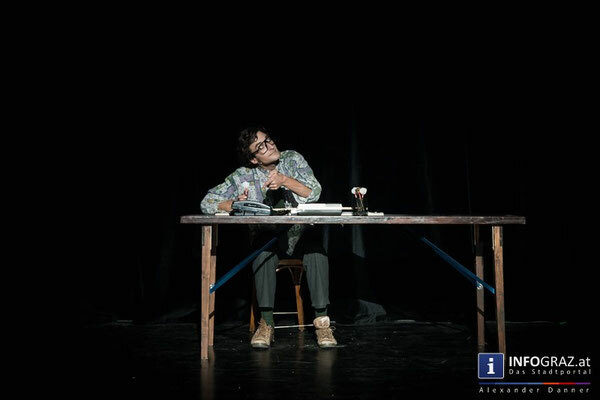 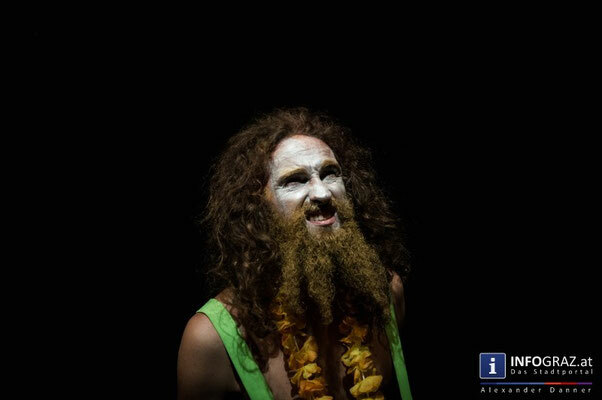 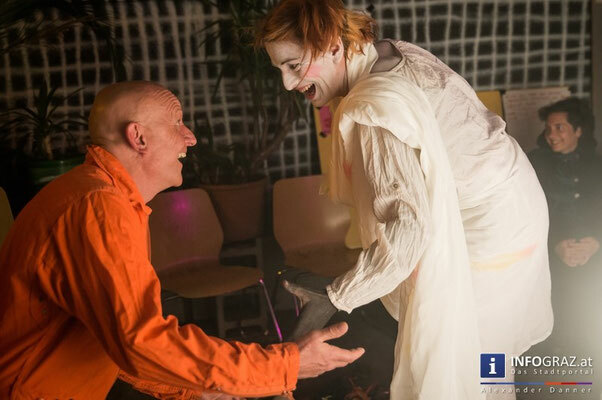 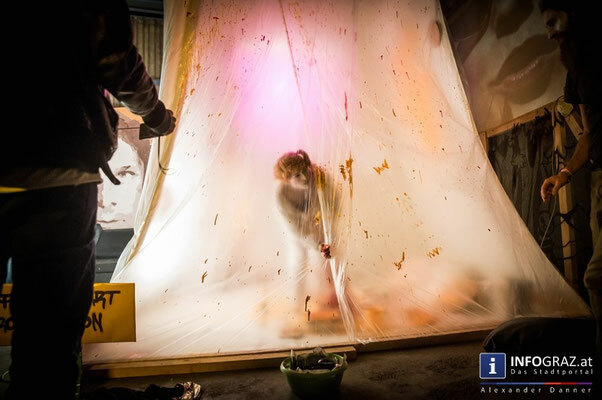 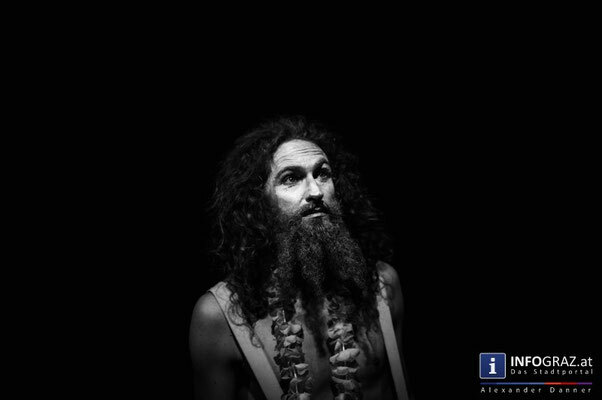 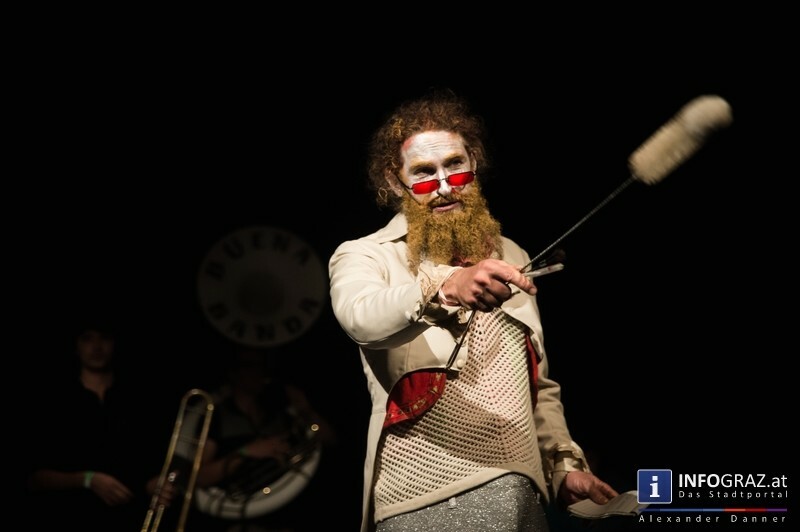 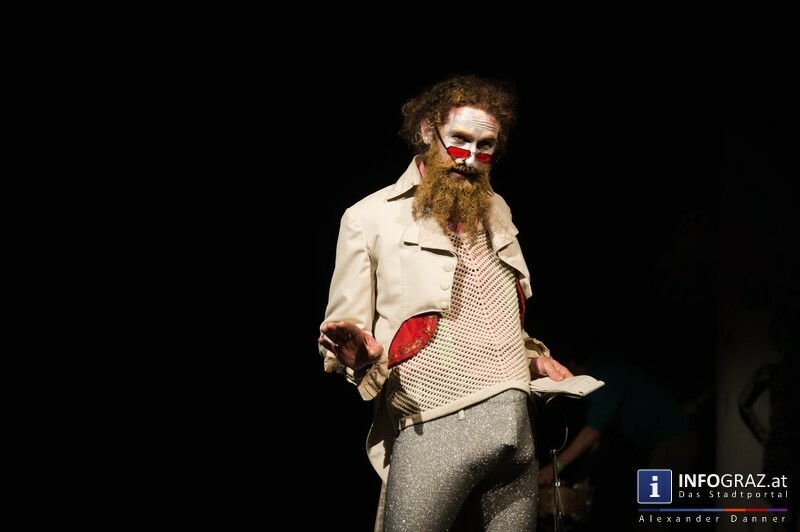 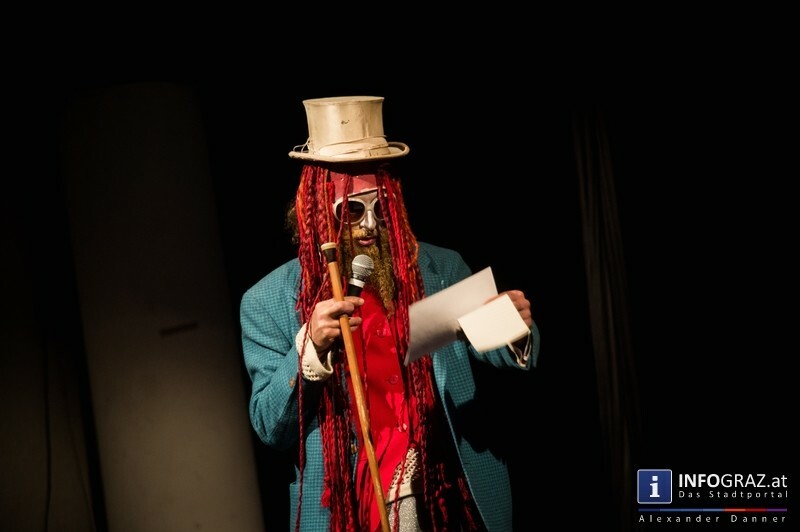 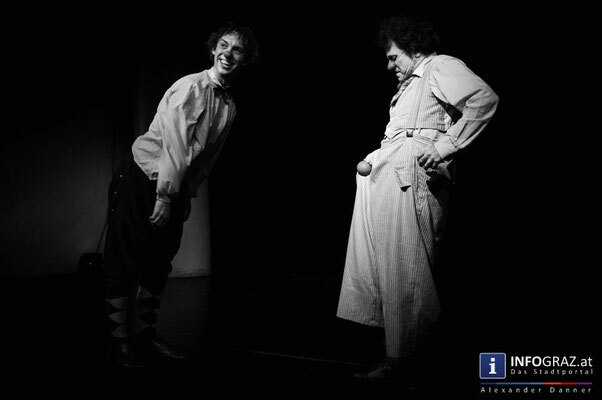 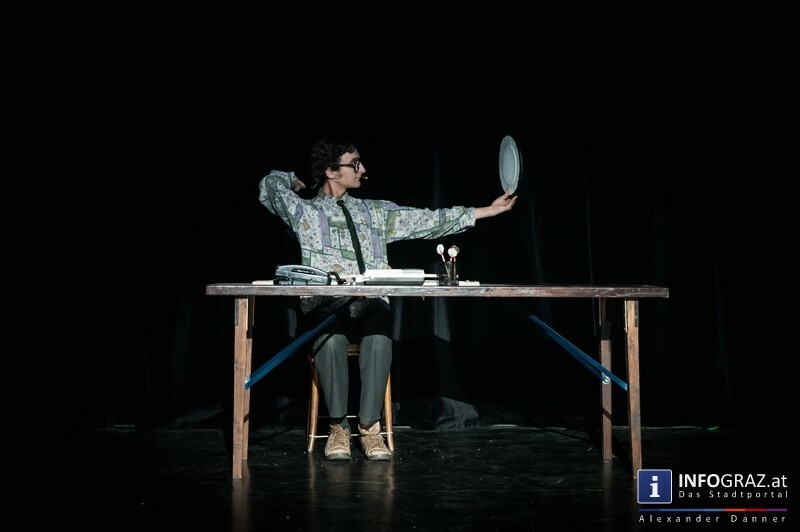 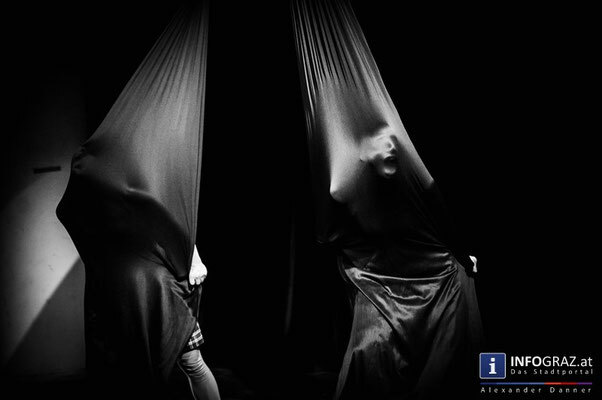 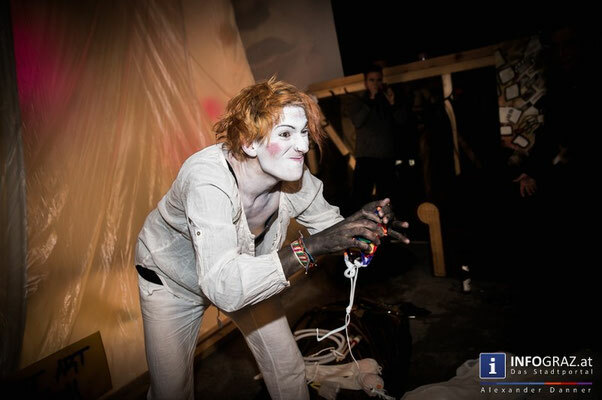 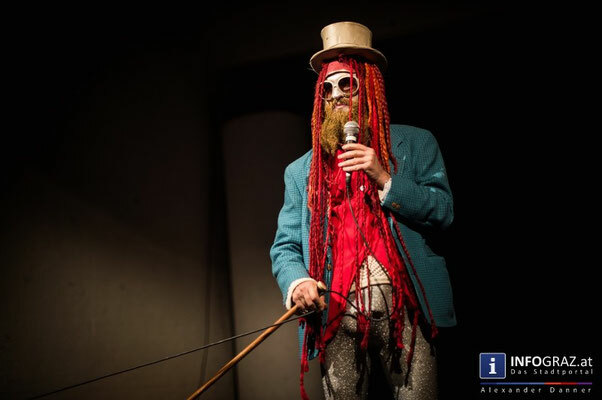 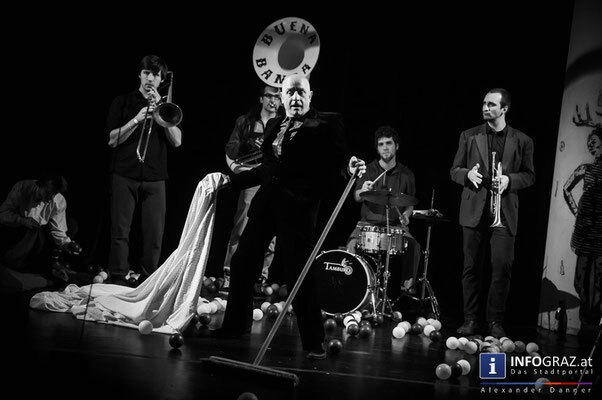 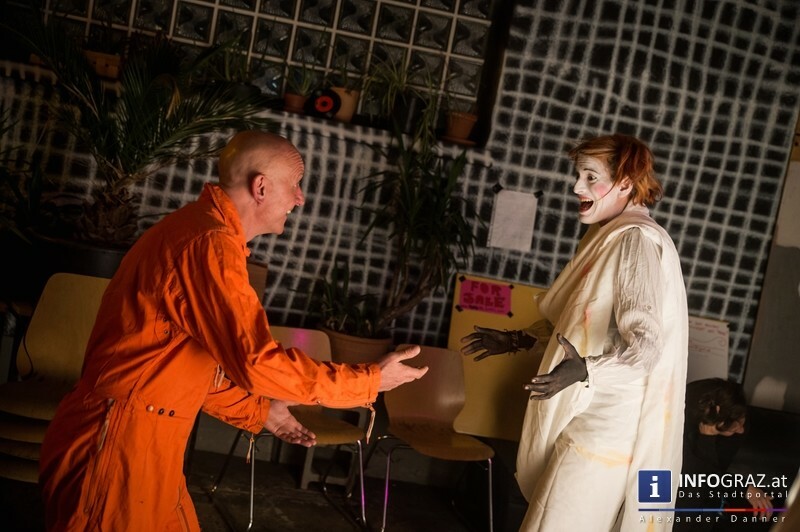 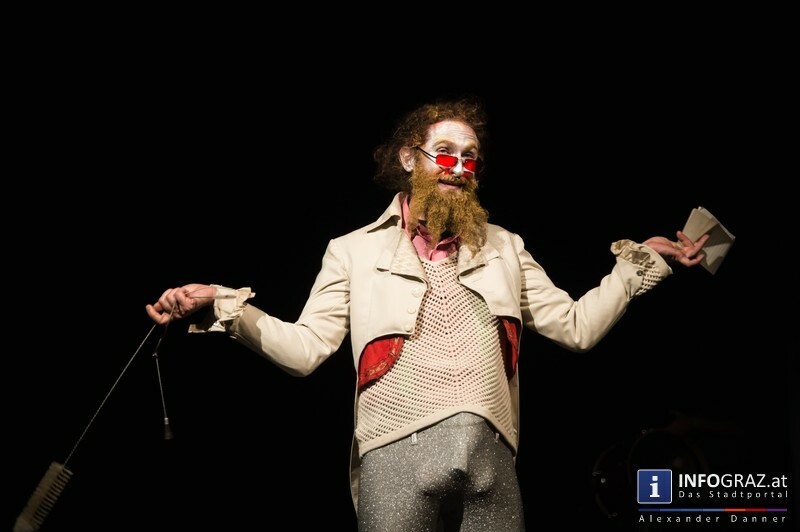 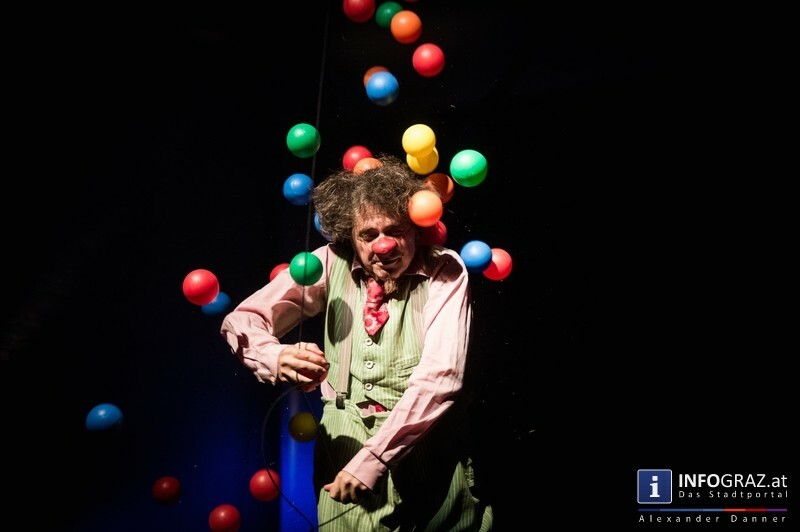 It all started 2000 for Impro-X and Scheiterhaufen, two improvisation theater groups. 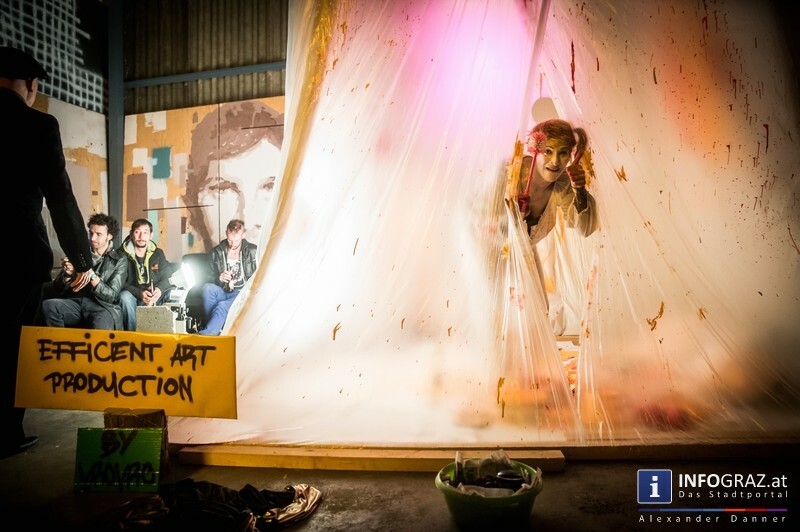 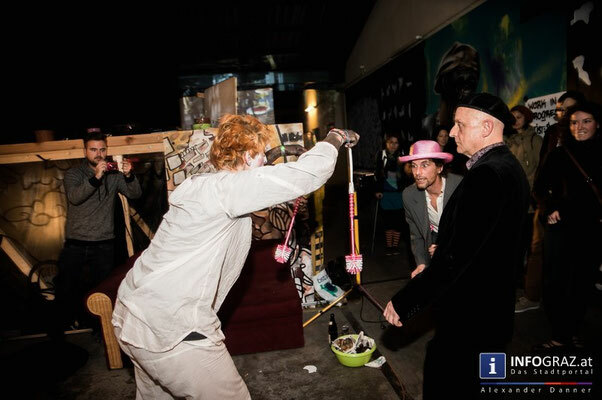 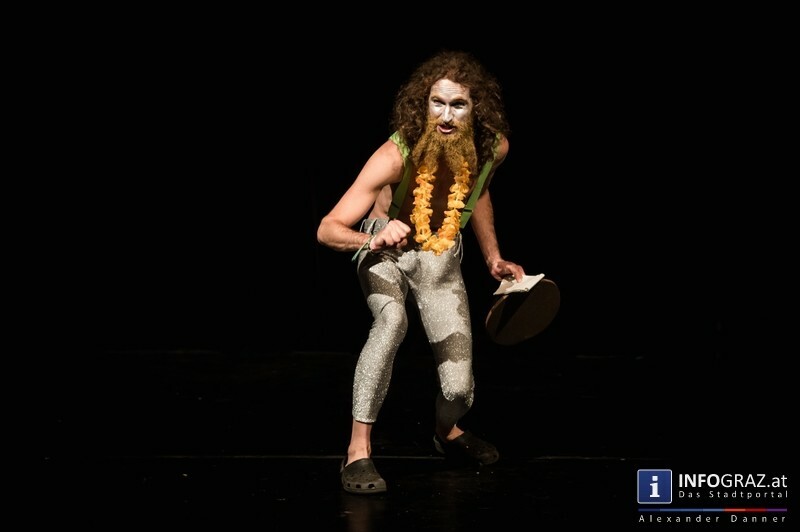 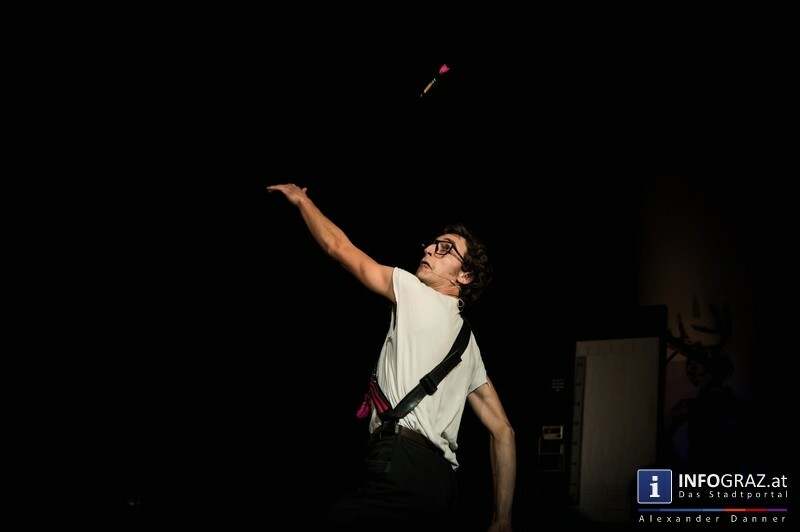 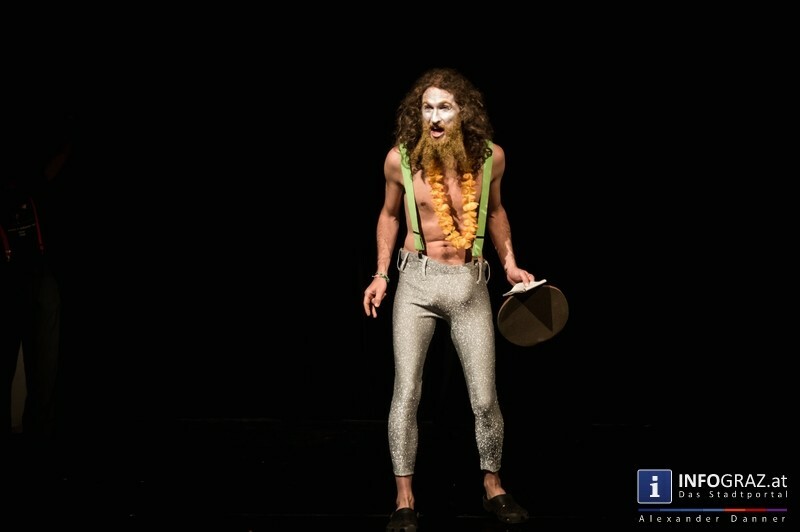 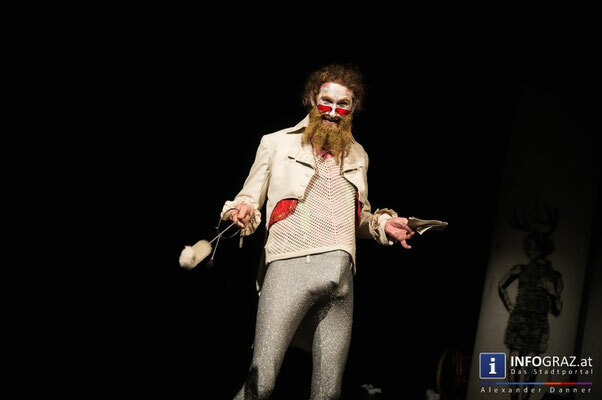 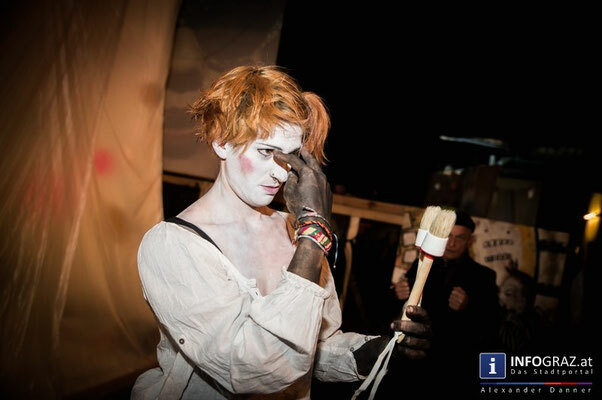 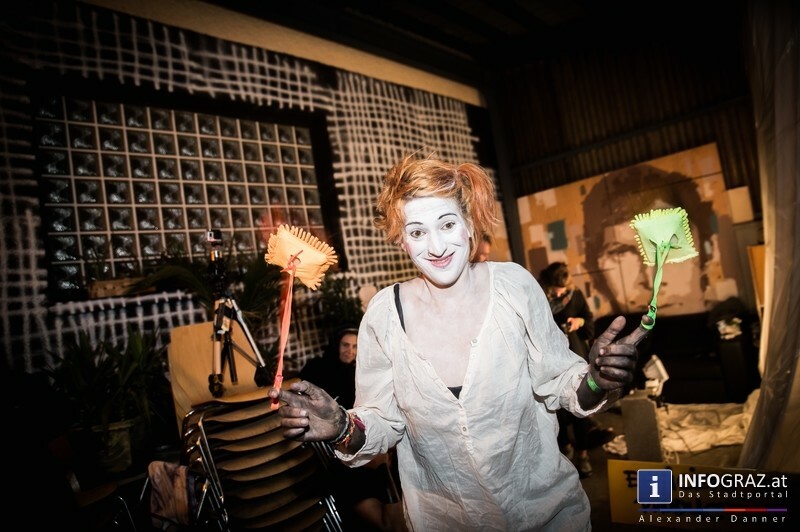 2014 I was invited to present the varieté "Mad Circus" in the Papierfabrik Graz (Austria). 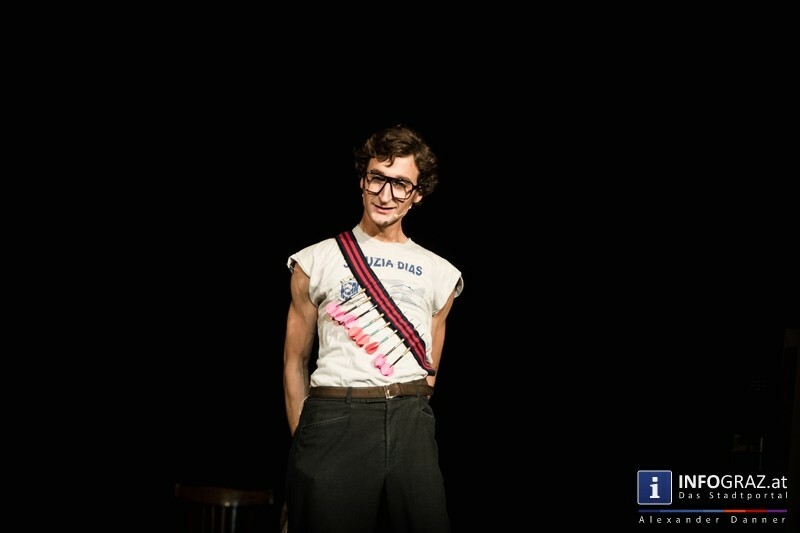 Happily jumping into the rich clothes collection of Kai I found myself some nice agressive english speaking character. But when numers turned out to be less nuts then expected I ran to find new costumes and added two brothers to my first character, a charming french and a happy swiss one. 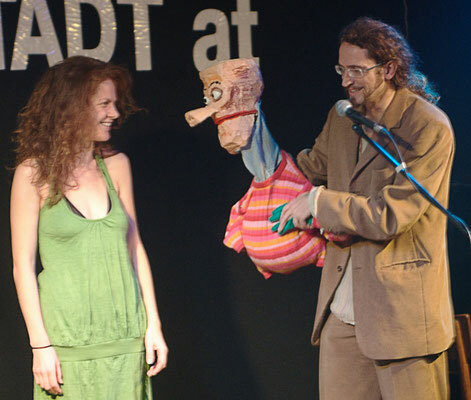 2009 I presented with my own mouthpuppet the varieté "Viennese Mix" in Vienna. I even showed some scenes from the piece that I had been working on, giving my role to the puppet and playing my partners myself.